Membership: Help Us Launch an Exciting Year — Join Today! “2018 is yet again an extremely warm year on top of a long-term global warming trend,” said NASA’s Goddard Institute for Space Studies (GISS) Director Gavin Schmidt. NASA and NOAA (National Oceanic and Atmospheric Administration) issued independent analyses that were released in February 2019. They both reported that the earth’s global surface temperatures in 2018 were the fourth warmest since 1880. The past five years are, taken together, the warmest years in the modern record. Since the 1880s, the average global surface temperature has risen about 2 degrees F (1 degree C), due, in large part, to increased emissions into the atmosphere from carbon dioxide and other greenhouse gases caused by human activities. Indeed, 2018 saw the wettest year ever recorded in the mid-Atlantic region. Warming trends are strongest in the Arctic region, with accompanying sea ice loss. And sea level rise continued to accelerate due to mass loss from the Greenland and Antarctic ice sheets. Increasing temperatures are also tied to longer fire seasons and some extreme weather events. Read the NASA report here and the NOAA Global Report here. 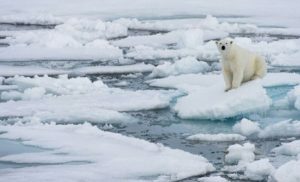 The latest national survey by the George Mason University Center for Climate Change Communication and the Yale Program on Climate Change Communication indicates that a record high percentage (72%) of Americans now say that global warming is personally important — up 9 percentage points from last year. 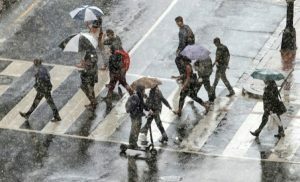 Published in December 2018, the survey, Climate Change in the American Mind, points out that 65% of Americans think global warming is affecting weather in the United States, and 32% think weather is being affected “a lot.” 62% of Americans understand that global warming is mostly human-caused, whereas a record low 23% say it is due mostly to natural changes in the environment. A second report, Politics & Global Warming, was released in early February. 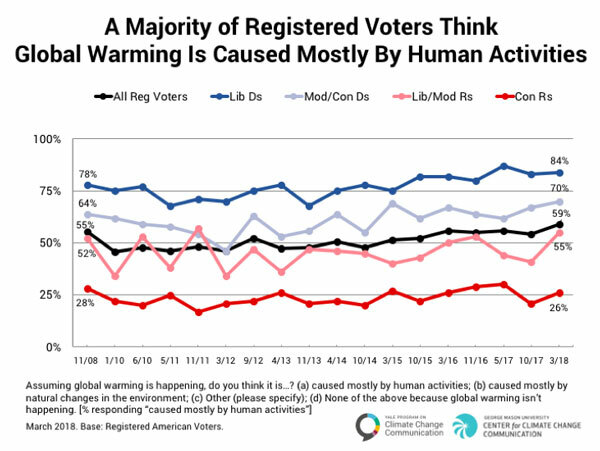 This shows that, for the first time, a majority of registered voters are worried about global warming. The survey also reflects that a majority of registered voters support a variety of national policy actions to reduce carbon pollution, decrease our dependence on fossil fuels, and promote clean energy. These include such measures as a “fee and dividend” or “revenue-neutral carbon tax,” which would each require fossil fuel companies to pay a fee or tax with the funds being used to reimburse citizens in particular ways, or a “Clean Power Plan,” which would set strict limits on carbon dioxide emissions by coal-fired power plans. Even the newly publicized “Green New Deal” received positive support (81% of registered voters), according to this survey. The Yale Program website also contains an interactive map that shows the survey results for Democrats and Republicans, both across the United States, and state-by-state. You can see this map for the state of Virginia, and by Congressional districts here. According to a recent report by the Solar Foundation, America now has over 242,000 solar workers, with nearly 4,000 of those right here in Virginia. The National Solar Jobs Census 2018 announced that solar jobs in Virginia increased 9% between 2017 and 2018, putting Virginia in 20th place for solar jobs by state. The report notes that job growth in the solar field far outstrips overall job growth in recent history: “In the five-year period between 2013 and 2018, solar employment increased 70% overall, adding 100,000 jobs. By comparison, overall U.S. employment grew only 9.13% during that same period.” Further, the report predicts that, with a backlog of utility-scale projects and new policy incentives in key states, the outlook for solar jobs is expected to improve in 2019. 2017 Solar Jobs Census map of Virginia is an interactive source of information about jobs by congressional district, county and metropolitan area. We are highlighting several community-based and utility solar programs that are helping residential consumers with the opportunity to access renewable energy choices. These programs represent some of the growing initiatives in the state that give consumers the chance to lower their energy bills and their carbon emissions by going solar. Solar United Neighbors in Virginia (VASUN) recently released its 2018 year in review, reporting that nearly 1,000 kW of solar capacity in over 100 homes and businesses were installed through its solar co-ops last year. VASUN also helped with the creation of the Arlington Solar and EV Charging Co-op. Homeowners and businesses participating in the program have the option of installing solar panels, a level 2 electric vehicle charger, or both. This is the first solar electric vehicle (EV) co-op in Arlington and it helps electric vehicle (EV) owners and even those interested in purchasing EVs by providing information and discounted pricing support. 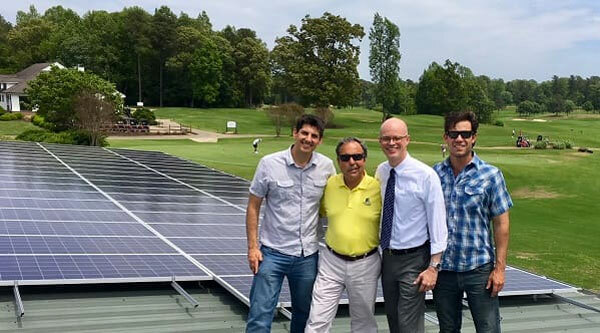 VASUN helped Kiskiack Golf Club became the first golf course in Virginia to go solar. The 29 kW roof top solar system installation was completed by Convert Solar as part of the Hampton Roads Solar Co-op, a community bulk purchase program supported by Solar United Neighbors of Virginia. The system installed on the golf club’s maintenance building will offset up to 25% of the energy used by the golf course and save more than $3,000 on electric bills each year. Kiskiack Golf Club (L to R): Solar United Neighbors of Virginia Program Director Aaron Sutch, Kiskiack owner Carl Zangardi, William & Mary’s Henry R. Broaddus, and Chad Wilkins from Convert Solar. System Size: 29 kW. VASUN also helped educate nearly one thousand community members about solar energy through free public information sessions in 2018 and continues to build a network of people who support solar as the best way to build a resilient and equitable energy system. Less than a year ago, The Central Virginia Electric Coop (CVEC) launched its new community solar program, Solar Share. The program allows residential consumers to purchase up to five 50-kilowatt-hour (kWh) “blocks” of solar energy. The subscription rate of $4.50 per block is locked in and not subject to rate increases for 25 years. CVEC has completed construction on two solar generation farms, which will produce a total of 10 megawatts (MW) of energy, making them the largest solar project for an electric distribution cooperative in the state. CVEC will add 60% of the solar energy to its power supply portfolio for use by all 36,000 members, while the other 40% of the energy output will be offered to its members for subscription through Solar Share. CVEC serves homes and businesses in portions of 14 counties in Central Virginia. CVEC’s 21,700-panel Palmer solar site. 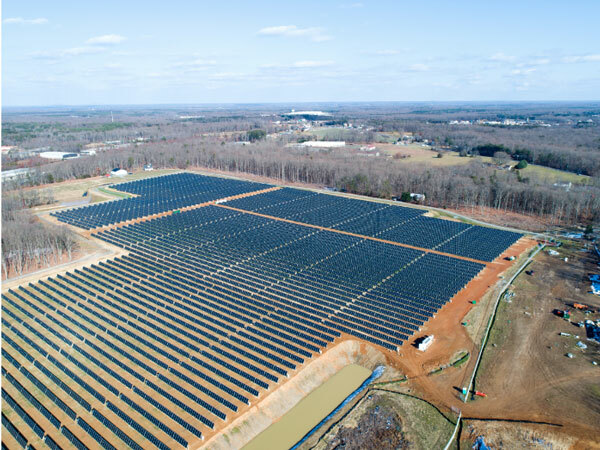 Through its Sunshare Program, the Rappahannock Electric Cooperative (REC) serves 22 counties in northern Virginia, and allows its members to purchase 50-kilowatt-hour (kWh) blocks of solar energy. While a small portion of all electricity supplied by REC is generated at solar facilities in Virginia and only one modification is allowed within a 12-month period, the price for solar blocks will remain fixed for 3 years and participants may cancel subscriptions at any time without penalty. The REC’s Net Metering program allows REC members to interconnect renewable generation systems to the electrical distribution system and to generate their own electricity. The meter measures both electricity being used from the grid and excess electricity generated by the user. The sum, or “net,” is the volume of electricity (kWh) to be billed or credited to the monthly bill. 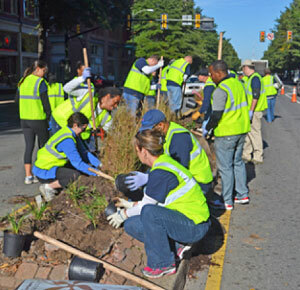 The City of Charlottesville, Albemarle County, and the University of Virginia (UVA) have launched a joint climate action initiative — Climate Action Together — with the goal of ramping up greenhouse gas reduction programs in Central Virginia. Starting in February 2019, they have embarked on a collaborative community outreach effort as each entity begins to update their greenhouse gas (GHG) reduction targets and develop climate action plans (CAPs). The results of these efforts will serve to guide climate action in the Charlottesville area for the next 10–30 years. These jurisdictions and the university had already initiated a range of GHG emission reduction programs over the past ten-plus years. For example, Charlottesville created its first emissions inventory in 2008 under their Climate Protection Program. 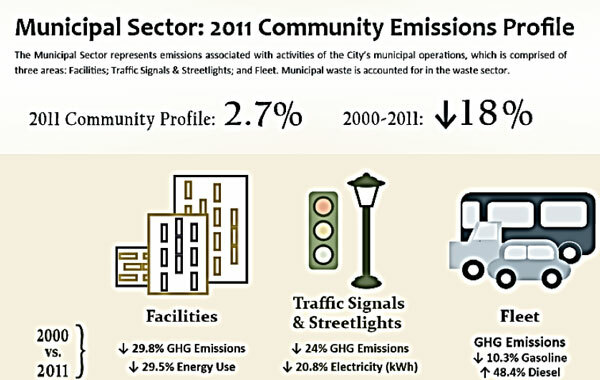 They track municipal and community sector emission reductions periodically. For example, their 2012 report showed an 18% overall reduction for municipal facilities, vehicle fleet, and traffic signals and streetlights. Charlottesville signed on to the Global Compact of Mayors initiative in 2017, with the commitment to further reduce GHG emission across municipal and community sectors. The city’s most recent inventory of emissions reductions can be viewed in their 2016 Greenhouse Gas Inventory report. Motivated by the newest information on accelerating climate impacts that were revealed in the 2018 United Nations Intergovernmental Panel on Climate Change (IPCC) Report, Charlottesville, Albemarle County, and UVA are working on expanding regional efforts that build on the Local Climate Action Planning Process (LCAPP) — a regional climate initiative by the three organizations completed in 2011. Each organization will develop their own long-term targets and action plans to fit their unique composition and circumstances, but will work to share ideas and resources, build upon each other’s work, and collaboratively engage with the community. The three organizations are coordinating their outreach efforts across their sustainability offices. Residents, businesses, and area stakeholders are encouraged to get involved and participate in this collaboration. Connect here to learn more about Charlottesville’s past emission reduction goals and their new initiatives. 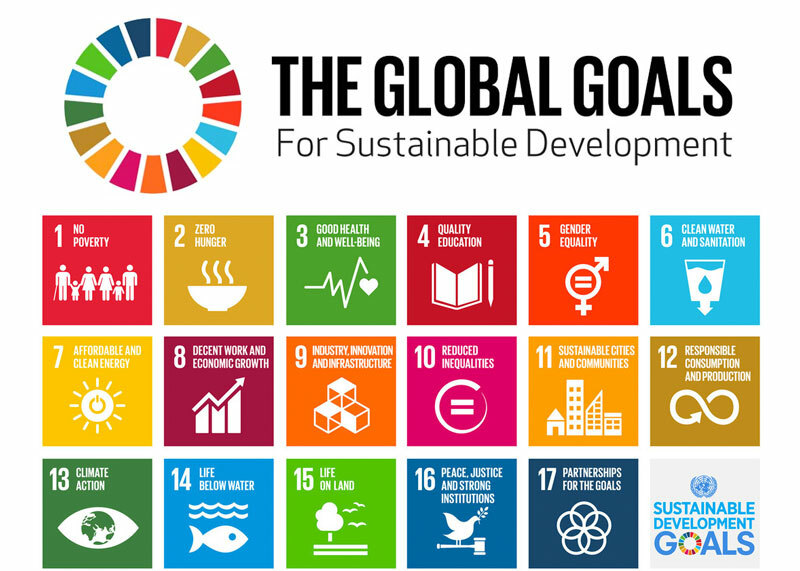 Connect here to find out more about Albemarle County’s work on setting GHG reduction goals. Connect here to find out about the University of Virginia’s current initiatives and plans for the future. Keep up with specific participation opportunities and find more information about each organization’s efforts by checking in at www.ClimateActionTogether.org. Virginia (along with the entire nation) needs to move rapidly toward de-carbonization of energy production to rapidly reduce GHG emissions, according to the 2018 National Climate Assessment. A few bills that will help with this goal passed the General Assembly this year, with more extensive efforts needed in subsequent General Assembly sessions. HB 2293 and SB 1605: Created a stakeholder process to provide important input on the development of utility energy efficiency programs. HB 2792 and SB 1779: Created a 6-year pilot program for municipal net metering for localities that are customers of utilities. HB 2621 and SB 1091: Allows localities to require a decommission plan as a condition for approving a solar site plan. HB 2547 and SB 1769: Makes changes to the net-metering program for customers of electric cooperatives, including raising the net-metering cap to 7% of system peak and permitting customers to install enough renewable energy to meet up to 125% of previous year’s demand. HB 2192 and SB 1331: Creates school modernization initiatives that encourage energy efficient building standards and net zero design. Rural areas need economic diversification and growth, and a critical factor for success is strongly linked to broadband connectivity. Resilient Virginia is now a partner with Commonwealth Connect. Broadband Budget: $19 Million in funding for the Virginia Telecommunication Initiative (VATI) for FY 2020. HB 2141: Expands the powers allocated to a local service district for broadband and telecommunications services in an unserved area. The legislation specifies that service districts can only contract with nongovernmental broadband service providers. HB 2691: Establishes a pilot program for Dominion and Appalachian Power to own and lease broadband services to nongovernmental broadband providers in unserved areas of the Commonwealth. The pilot will be capped at $60 million annually per utility for three years and also authorizes the utilities to recover the net costs of the pilot from customers through rate adjustment. HB 2541 and SB 1618: Extends the expiration of the Office of Telework Promotion and Broadband Assistance (OTPBA) and the Broadband Advisory Council (BAC) from July 1, 2019, to July 1, 2021, and alters and expands from 14 to 17 the membership of the Council. 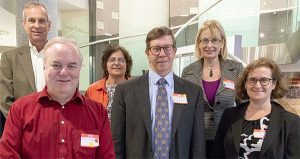 We are pleased to highlight our Board Members and to introduce our 2018–2019 Advisory Committee on our website. We are anticipating a busy Spring, Summer, and Fall this year! Here are some highlights of events Resilient Virginia will be involved with. 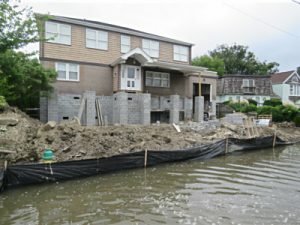 March 26, 2019: RELI — Guidelines for Resilient Buildings. Hosted by USGBC VA and Resilient Virginia. Noon to 1 pm. Interstate Center Conference Room, 2104 W. Laburnum Ave., Richmond, VA.
April 25, 2019: Building Sustainability Conference and Tour. Hosted by Viridiant, with participation by Resilient Virginia. The Place at Innsbrook, 4036 Cox Road, Glen Allen, VA.
April 27, 2019: Arlington Home Show and Resiliency Workshop. Arlington County and Resilient Virginia. Free to the community. Kenmore Middle School, 200 S. Carling Spring Rd, Arlington, VA.
Summer 2019: 2019 Resilient Virginia Conference. Our third statewide conference! Planning is underway. Stay tuned for the announcement of the date and location. Contact Annette Osso, Managing Director at osso@resilientvirginia.org to get involved. 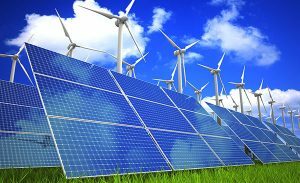 September 17, 2019: Virginia Clean Energy Symposium. Hosted by VA-Renewable Energy Alliance with Resilient Virginia and others as partners. Stay tuned for more information on the agenda and speakers. Membership — Spring is in the air somewhere! Make Resilient Virginia membership your Springtime goal! If Amazon is your online shopping choice, go to Smile.Amazon.com and designate Resilient Virginia and we will receive a donation with every purchase. Find lots of discounts and many participating stores for office supplies, general shopping, and special event gifts. Utilities of the Future — Expert Speakers’ Presentations Now Live! Membership — ‘Tis the (Giving) Season. Join Today! Thank You 2018 Members and Annual Sponsors! Individual Members — View our Individual members here. Join USGBC Virginia and Resilient Virginia for our 4th jointly hosted Connect & Learn exploring LEED’s connection to resiliency strategies using examples of LEED buildings in Arlington County. This event is part of a Virginia resiliency education series looking at how buildings and communities support statewide resiliency goals. Green buildings are driving resilience-enhancing designs, technologies, materials, and methods. by including practices such as the use of durable materials, thoughtful site selection, rainwater collection, demand response, grid islanding, maximal energy efficiency, on-site renewable energy generation and more. Attend this Connect & Learn to explore LEED’s connection to resiliency strategies using examples of LEED buildings in Arlington County. Speakers include Alysson Blackwelder, Advocacy and Policy Manager, USGBC, and Joan Kelsch, Green Buildings Manager, Arlington County. Lunch is provided for registered attendees. The presentation will run from 12:00–1:00 pm. Continuing Education: 1 GBCI CE pending. Published November 23rd, the National Climate Assessment Report concludes that human-caused climate change is already causing irreparable harm to communities across the United States and that the disastrous impacts will increase and cost the country billions of dollars. This report, the Fourth National Climate Assessment Volume II, mandated by law to be issued every four years, was prepared by 300 authors at 13 federal agencies. Among the report’s findings: climate impacts could slash 10 percent of the US GDP, the Midwest is projected to see an additional 2,000 heat deaths per year, average acreage burned by wildfires could increase as much as six times, all by the end of the century. Energy — The report states that internationally and in the U.S., it is critical to escalate the pace, scale and scope of both hardening energy production systems to withstand extreme weather events and reducing greenhouse gas emissions. Urban design and infrastructure — Cities are in the forefront of reducing greenhouse gases in the U.S. and have begun adaptation work as infrastructure, buildings, and commerce are being increasingly affected by extreme weather events, including storms, flooding and heat waves. Agriculture and land use — Numerous adaptation strategies are available to cope with adverse impacts of climate variability and change on agricultural production. These include altering what is produced, modifying the inputs used for production, adopting new technologies, and adjusting management strategies. However, these strategies have limits under severe climate change impacts and would require sufficient long- and short-term investment in changing practices. Read the Report summary, chapters on issues, and mitigation/adaptation strategies here. On an international level, the United Nations’ Intergovernmental Panel on Climate Change Report, released in October, 2018, strongly supports an all-out effort to limit global warming to 1.5 degrees C above pre-industrial levels, instead of the 2 degree C limit originally considered as part of the 2015 Paris Agreement. The commitments from the Paris Agreement, if enacted, will still allow the warming trend to reach 3.5 degrees C by the end of the century. Read the IPCC Press Release here. 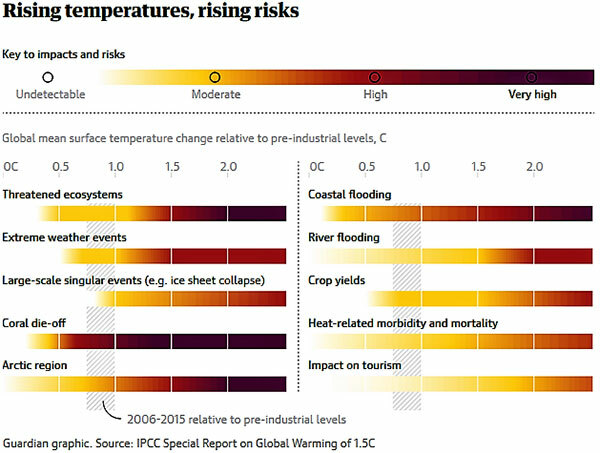 The Summary for Policymakers of the Special Report on Global Warming of 1.5ºC (SR15) is available at https://www.ipcc.ch/sr15/. Acknowledging the burgeoning resiliency challenges facing the Commonwealth, Virginia’s Governor Ralph Northam recently issued Executive Order 24 (2018) “Increasing Virginia’s Resilience to Sea Level Rise and Natural Hazards.” It outlines actions that the Commonwealth of Virginia will take to limit the impacts of flooding, extreme weather events, and wildfires as well as goals to improve resiliency in the future. providing guidance to local governments. The Executive Order also outlines further resiliency improvement goals that include using nature-based infrastructure, ensuring better communication, engaging the military, empowering communities and individuals to reduce their risk, and more. Read the entire Executive Order here. To convene a conversation about rural resiliency concerns, Resilient Virginia held the Rural Resiliency Forum on October 23 at the Frontier Culture Museum in Staunton that covered how the fields of agriculture and emergency management are responding to climate threats, as well as how efforts are being made to build robust “green infrastructure” to help address both water quality and stormwater management. The objective was to explore the co-benefits of using natural systems and sustainable agriculture practices to assist with mitigating effects from severe storms, flooding, and other climate-related risks. “Our mission at Resilient Virginia is to accelerate resiliency planning throughout Virginia,” said Andrew Sorrell, Deputy Director of the Virginia Tobacco Region Revitalization Commission and Chairman of the Resilient Virginia Board of Directors. Resiliency is defined as “the ability to mitigate risk, while building the capacity to regain functionality and vitality in the face of chronic stressors or severe disturbances.” That definition covers a lot of subject areas, but the October Forum focused on resilient agriculture and forestry, blue and green infrastructure, and hazard mitigation and emergency preparedness. Speakers presented on related state and federal programs, as well as on current resiliency projects and activities happening throughout the Commonwealth. During lunch, university representatives provided information on how university programs can help with community resiliency needs. In the afternoon, interactive breakout sessions encouraged audience, speakers, and Resilient Virginia staff to delve further into particular issues and challenges around rural resiliency and how farms and natural resource areas can help with hazard mitigation and disaster preparedness. Read the complete article that recaps the speakers’ information and directs you to additional resources here. You can also review the presenters’ PowerPoint presentations here. Leaders in Energy, Founder and Executive Director and session co-moderator, Janine Finnell, kicked off the event, introducing the three panelists: John Caldwell, Ph.D., Director of Economics, Edison Electric Institute (EEI); Cyril Draffin, Project Advisor to Massachusetts Institute of Technology’s Energy Initiative (MITEI); and Elizabeth Brooke Stein, Attorney, Environmental Defense Fund (EDF)’s Clean Energy Program. Annette Osso, Managing Director, Resilient Virginia, provided comments on the need for secure energy resource development as part of community resiliency planning. New York’s efforts to reform the state’s utility regulations (Reforming the Energy Vision, or REV), and the various technological enhancements that make this renewable transition possible. You can view the entire article here and view the video presentations here. December 13, 2018: LEED Benefits for Resilient Communities, Noon–1:00 pm, NOVA Community College, Alexandria Campus, Room TBD, 5000 Dawes Ave, Alexandria VA 22311. Register today to reserve your seat. January 7–10, 2019: National Council for Science and the Environment Annual Conference: Sustainable Infrastructure and Resilience, Washington, DC. For more information and to register: https://ncseconference.org. Membership — ‘Tis the (Giving) Season! Join (Or Renew) Today — It’s Our Future! It’s gift buying and giving time, so make it easy on yourself by shopping at Amazon. Find lots of discounts and many participating stores for office supplies, school, and special events. Save the Date for the Rural Resiliency Forum! Take away valuable resources, new ideas, and beneficial contacts. More information on the Rural Resiliency Forum venue, registration, and agenda will be available in the near future. Resilient Virginia invited its members and various stakeholders to the 2018 Resilient Virginia Annual Meeting and launched the featured topic for the upcoming year, “Resiliency and the Rural/Urban Interface.” There was a full house at Charlottesville’s CitySpace on Thursday, July 19. The meeting opened with networking and lunch, followed by a brief update on the activities and accomplishments of the organization over the past year. Resilient Virginia introduced our new Board of Directors and the newly formed Advisory Committee. The highlight of the afternoon was a panel discussion with five subject matter experts featuring Virginia’s new emphasis on rural-urban interdependence, with speakers on building resilient communities through rural economic development, green infrastructure valuation, and the farm-to-table movement. To open the event, Kristel Riddervold, Charlottesville’s Environmental/Sustainability Manager, gave an outstanding example of how Charlottesville and Albemarle County have collaborated through a cooperative Memorandum of Understanding and have leveraged their resources to better serve the community. A number of projects and actions have been enhanced, such as: the Jefferson Area Bike-Pedestrian Master Plan; regional GHG emissions reporting; technical and educational opportunities; and housing redevelopment and the environment. In addition, they have embarked on a regional dialogue regarding the Rivanna River Corridor Plan, so that all perspectives can have a voice in the development of that shared resource. Next, Deputy Director of the Virginia Tobacco Commission, and new Resilient Virginia Board Chair, Andy Sorrell, updated the group on the Virginia initiatives for universal and functional broadband. The lack of high speed internet is affecting economic development in rural areas by limiting business development and retention, as well as impeding proper education for our children. In July 2018, Governor Ralph Northam appointed a Chief Broadband Advisor to develop and deliver a plan to address universal broadband to all Virginians. In 2018, the General Assembly increased the budget for this project from $2 million to $8 million to accelerate the service delivery of this critical need and the Tobacco Commission has committed $11 million to broadband expansion. Virginia has a long history of producing agricultural products and a strong farm community, making the local food system an important economic driver. Eric Bendfeldt from the Virginia Cooperative Extension, who works as the Extension Specialist in the Community Viability Program, spoke about the economic health of the local food system. Current market conditions have taken a heavy toll on Virginia farmers and on the local food system. Eric reminded us of the value of the local food system that provides safe and accessible high quality of nutrition to small, rural communities; contributes to the retention of small- and medium-sized farms; and provides benefits to local schools, businesses, healthcare, and educational institutions. Rebecca Joyce represented the Central Shenandoah Regional Commission, which services the primarily rural, west-central part of Virginia. 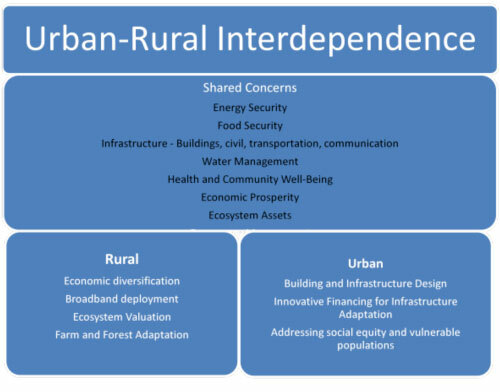 She identified several key factors when considering the interdependent nature of communities in an emergency situation. She used the term “coastal refugees” for people that will need to leave the coastal area in the event of a major weather event and their consequential migration to more centrally located ground. Rural areas have emergency funds that meet the needs of the local community in a disaster, she commented; however, they are not prepared to handle an influx of displaced people as well. And certainly, a powerful storm on the coast will move across the state, causing storms and flooding in its path. Therefore, there is a critical need to prepare for the needs of the refugees and the rural areas that are likely to house them. Finally, Eldon James, Coordinator of the Rappahannock River Basin Commission, gave an overview of the three phases of the Virginia’s Healthy Watershed Study. This fascinating study has quantified the important interconnection between forest land and watershed health. The report also cites attractive financial models for the land owners that could potentially leave these large tracks of forest intact. He connected the value of green and blue infrastructure as a critical component to clean, healthy watersheds and the success of the local economy. The discussion continued with questions from the audience and a lively conversation carried over as we all enjoyed a delicious ice cream treat from Splendora, a Charlottesville business. The Annual Meeting just touched on the many serious discussions that will take place at Resilient Virginia’s Rural Resiliency Forum in Staunton, Virginia on Tuesday, October 23rd. More details will be provided in the upcoming weeks. Please save the date for this important event. In closing, I have completed my term as Chair of Resilient Virginia, and it has been my honor to serve this wonderful organization and work with all of our committed board members and stakeholders. I will stay on as Past Chair and look forward to the exciting events of next year. I am happy to announce our new officers and welcome our new board members. Ellen Graap Loth, Principal, Cardno, Inc. 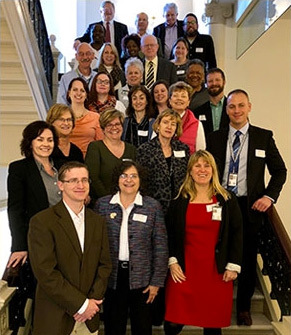 In our next newsletter we will be highlighting Resilient Virginia’s newly formed Advisory Committee, which will provide expert guidance on program direction and project implementation. Finally, thanks to everyone who supports the important work of Resilient Virginia. This conversation is more important now than ever before! Resilient Virginia will be at this year’s Science Museum of Virginia’s PrepareAthon in Richmond on August 25 from 11:00 AM to 4:00 PM. Are you prepared for extreme rain events, rising heat, or emergencies like hurricanes or tornadoes? If you’re not sure, then join us for PrepareAthon, a free festival that teaches the community how to be more resilient when disaster strikes! Discover life-saving information to protect your family during an emergency and learn more about resiliency. Activities will take place throughout the Museum and include rain barrel- and preparedness kit-making workshops; NOAA Science on a Sphere® climate demonstrations; hands-on experiments in the Eco Lab; and sustainable building challenges. NBC 12 meteorologist Megan Wise will be on-site to talk about Virginia weather, and exhibitors from government organizations, academic institutions, businesses, emergency management agencies, and community groups across the state will provide helpful tips, resources, and giveaways. Plus, the first 300 guests to complete the PrepareAthon Passport will win a useful preparedness prize! PrepareAthon is hosted by Science Museum of Virginia and funded from the Environmental Literacy Grant (ELG) program of the National Oceanic and Atmospheric Administration (NOAA), US Department of Commerce. Resilient Virginia is teaming up with the Science Museum of Virginia, Alliance for the Chesapeake Bay, and Beautiful RVA for a Southside Richmond workshop focused on green infrastructure, community gardens, and stormwater management. Taking place on Saturday, September 15, from 11:00 AM to 2:00 PM, this workshop, “Your Community: Cool, Dry and Green,” will bring together a group of neighborhood leaders who are working with Duron Chavis, from Beautiful RVA, to learn about the benefits of adding vegetation and stormwater mitigation to their homes and public spaces. Dr. Jeremy Hoffman, Science Museum of Virginia Climate Scientist, will provide background information on the Museum’s work on climate education, which has been funded over the last three years by a NOAA grant. He will also engage the participants in hands-on learning about urban heat islands and stormwater, using the Museum’s “Ready Row House” demonstration models. Amy Hagerdon, from the Alliance for the Chesapeake Bay, will teach participants about managing water by using methods such as building rain gardens, permeable pavers, and rain barrels, and about the city’s stormwater mitigation incentive program. She will then work with the group to build rain barrels that they can take with them to install at their homes or local community gardens. On July 9, 2018, Governor Ralph Northam announced that the Virginia Department of Environmental Quality (DEQ) was awarding a contract to EVgo Services, LLC, to develop a statewide public electric vehicle (EV) charging network. The funds for this award comprise 15% or $14 million of Virginia’s allocation from the Volkswagen mitigation settlement. EVgo Services will be installing DC fast chargers along the most heavily traveled corridors and will complement existing charging infrastructure. Not only will the charging stations accelerate private investment in electric vehicles and help with cleaner air quality, but it will also contribute to mitigating climate change concerns by providing further impetus to curb greenhouse gases, including carbon dioxide and methane. The VA DEQ is the lead agency in charge of coordinating the settlement funds, which total $93.5 million for Virginia’s state mitigation plan. The major goal of Virginia’s mitigation plan is to focus on projects that reduce the greatest amount of NOx emissions and to promote the adoption of zero emission vehicles. In addition to the EV contract announcement on July 9, the state also filed the full Beneficiary Mitigation Plan with the Volkswagen trustee, which contains all eligible mitigation actions or project categories that the Commonwealth of Virginia plans to fund with the $93.6 million. The history of the VW settlement involves the 2016 court settlements related to allegations that VW violated the Clean Air Act (CAA) through the sale of diesel engine vehicles that were equipped with emissions-testing defeat devices. To mitigate environmental damages from violating the CAA, the settlement led to an Environmental Mitigation Trust (EMT), and VW was required to invest $2.925 billion across the country, to fund projects. States, tribes, Puerto Rico, and the District of Columbia have been allocated a portion of the trust based on the number of affected vehicles in their jurisdiction. The partial settlement agreements also require VW to buy back or modify the offending 2.0 and 3.0 liter diesel vehicles from consumers, and to spend $2 billion on zero emissions vehicle infrastructure and programs aimed at increasing public awareness of zero emission vehicles. Virginia has been working on promoting cleaner fuels, including electric vehicles, since the 2001 formation of the Virginia Clean Cities organization. Funded through the US Department of Energy, their mission is to advance air quality improvement, economic opportunity, and energy security through deployment of alternative fuel vehicles and infrastructure, education programs, and other petroleum reduction activities. Virginia Clean Cities provides consumers with information on all types of electric vehicles, on charging equipment, and provides a link to EV charging stations currently operating in the state. The Virginia clean energy community was enormously saddened to learn of the passing of Jim Pierobon, a courageous champion and always-clear voice. Jim brought to his energy coverage astute insight, solid values, in-depth knowledge, and eternal integrity. He will be greatly missed. Jim’s integrity and curiosity, combined with his deep knowledge of energy issues, gave us some of the most perceptive articulation of the important changes taking place as the Southeast shifts from fossil fuels to a clean energy system. 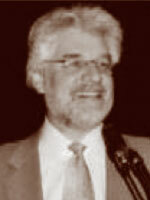 Jim Pierobon’s vision led to funding of the Southeast Energy News, where he was a principal reporter. SEEN, as it is known, provides original investigative journalism and a daily news digest keeping Virginia stakeholders, industry, policymakers, and citizens informed of the important changes taking place in the region in advancing renewable energy. He also blogged at TheEnergyFix.com, where his articles can still be appreciated. 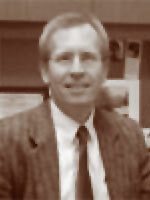 Jim began his career as an energy reporter for the Houston Chronicle, and went on to co-manage the global Energy Public Affairs Practice at Ogilvy Public Relations Worldwide; revamp communications at the American Council on Renewable Energy (ACORE); and helped launch and grow Standard Solar in Maryland as its first Chief Marketing Officer. His work was published in a variety of industry journals and other mainstream media including The New York Times and Huffington Post. Jim lived in Leesburg, Virginia with his wife Andy, and was a loyal “Mizzou” alum from the Missouri School of Journalism. August 25, 11:00am–4:00pm: PrepareAthon at the Science Museum of Virginia. Free Family Fun and Educational Activities. Science Museum of Virginia, Richmond, Virginia. September 15, 11:00am–2:00pm: Your Community: Cool, Dry, and Green. Workshop with Beautiful RVA, Alliance for the Chesapeake Bay, and Science Museum of Virginia. Hull Street Library, 1400 Hull St., Richmond. October 23: Rural Resiliency Forum — Save the Date! Watch for upcoming information on registration and speakers. Membership — Help Us Launch an Exciting Year! Thanks to our recent new and renewing members! It’s back-to-school time, so make it easy on yourself by shopping at Amazon. Find lots of discounts and many participating stores for office supplies, back-to-school, and special events. KidWind Challenges: The Best Program You’ve Probably Never Heard Of! Don’t Just Talk About Backup Power From Your Electric Car — Make It Happen! Three years have gone by rapidly since Resilient Virginia set out on its mission to accelerate resiliency planning in communities across the Commonwealth. We had an opportunity to give an overview of Resilient Virginia’s accomplishments at our February 2nd Virginia Sustainable Future Meeting. We appreciate the time and ideas that our expert guests contributed. We especially appreciate that Secretary of Agriculture and Forestry Bettina Ring and Secretary of Natural Resources Matt Strickler participated in the event. Highlighting the role of healthy communities and attention to vulnerable populations as components of resilient communities. Resilient Virginia will take these priorities into consideration as it creates its workplan for the next four years. We will explore expanded ways to assist communities in both urban and rural areas with understanding the need for resiliency planning and to help them access tools for adopting action plans. You can assist Resilient Virginia in formulating and carrying out our third Resilient Virginia Conference and other new initiatives by becoming a member or sponsorand by joining our working committees. 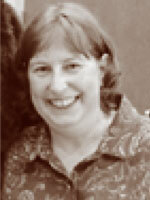 Contact Annette Osso, Managing Director, at osso@resilientvirginia.org. Editor’s note: In 2014, a Hampton Roads initiative to learn more about and create solutions to sea level rise and flooding was initiated by public, private, and academic leaders in that community. We will share an overview of this initiative, along with the final report. In subsequent newsletters, we will focus attention on other parts of the state where community leaders are starting down the path toward resiliency. The author of this article, Rear Admiral Ann C. Phillips, US Navy (Retired), chaired the Infrastructure Working Group for the Hampton Roads Intergovernmental Pilot Project from 2014–2016. See highlights of the article in this newsletter and the complete article here. Hampton Roads localities (including Norfolk, Hampton, Newport News, Portsmouth, and Virginia Beach), four Cabinet Departments of Virginia Governor Terry McAuliffe, 11 Federal Agencies (including DOD, Army, Navy, Air Force), DHS (U.S. Coast Guard), DOT, DOE, Port of Virginia, VDOT, HRPDC, HRTPO, HRSD, and a variety of private businesses and non-profits worked together over two years to develop recommendations and strategies for cooperative resilience planning. Throughout the process, more than 200 regional professionals participated in voluntary working groups, committees, and stakeholder events. 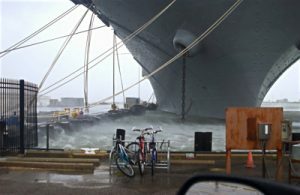 The IPP’s stated mission was that upon completion of the two-year effort, Hampton Roads would have a path to establish a regional Whole of Government and Whole of Community organizational framework, along with recommended procedures to effectively coordinate sea level rise preparedness and resilience planning for the region. Further, the IPP’s vision and the National Security Council’s objective included the development of this regional framework for Hampton Roads as a template that could be used for other regions. Identify funding strategies and create funding instruments for regional program needs — bring together and prioritize opportunities from multiple sources including federal, state, local government, private industry and non-profits. Community members learn about sea level rise from Michelle Covi, Assistant Professor of Practice, Ocean, Earth & Atmospheric Sciences, Old Dominion University. The Future: While there are actions and activities underway across the region at every level, the need for the regional collaboration and oversight entity identified by the IPP grows as water levels continue to rise and the land subsides. The IPP showed the tremendous value of regional partnerships working in collaboration across the whole of government and community. 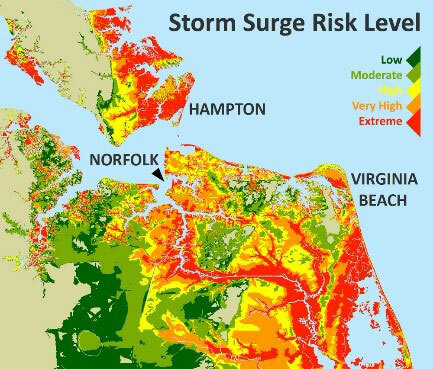 Now, it is up to Hampton Roads to seize this opportunity to take the lead in developing collaborative adaptation and mitigation strategies and actions to address to this existential threat — and we have no time to lose! To view the entire IPP final report and case studies on line, visit ODU Digital Commons. About the author: Rear Admiral Ann C. Phillips, US Navy (Retired) chaired the Infrastructure Working Group for the Hampton Roads Intergovernmental Pilot Project from 2014-2016. She is now a member of the Advisory Board for the Center for Climate and Security. The opinions expressed are her own. Paul Hawken, Executive Director of Project Drawdown and one of the fathers of the sustainability movement, presented an overview of a major new publication at the Champions of Change Sustainability Symposium, held January 8, 2018. The book, Drawdown: The Most Comprehensive Plan Ever Proposed to Reverse Global Warming, is the product of work conducted with over two hundred scholars, students, scientists, researchers, and activists who analyzed extensive data gathered from around the world. They produced what they consider the one hundred most substantive solutions than can cumulatively reverse global warming by reducing and sequestering greenhouse gases. By “doing the math” and focusing on technological, ecological, and behavioral solutions, the research team produced their results. Top categories of solutions include those associated with food (changing production methods, reducing food waste, switching to plant-rich diets), electricity generation (ramping up wind and solar production), and land (including proper land management and reforestation). 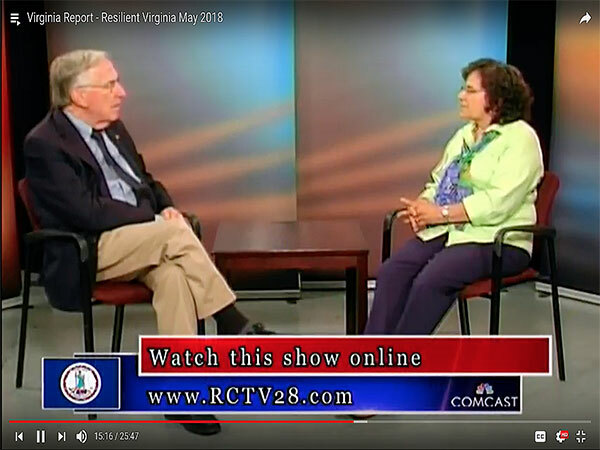 Thanks to GreenBuilder Media, the conference hosts, I am sharing both an article by CEO Sara Gutterman and Paul Hawken’s presentation here and on the Resilient Virginia YouTube channel. Farm photo courtesy of regenerationinternational.org; renewable energy photo courtesy of Financial Tribune. KidWind Challenge: The Best Program You’ve Probably Never Heard Of! Kids from middle and high schools around Virginia will be showing off their knowledge about designing and building wind turbines again this year during March events that make up the 2018 KidWind Challenges. 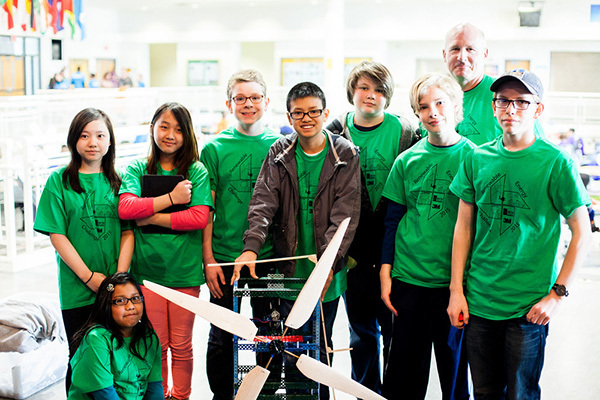 This program, hosted by the James Madison University Center for Wind Energy, has been an opportunity for children to “learn by doing” since 2012, and has involved over 1,300 students, coaches, judges, and volunteers and 170 schools. The top three teams in each Middle and High School division from each regional Challenge will be invited to compete in the National KidWind Challenge in Chicago, IL at the American Wind Energy Association Windpower Conference in May 2018. See what Virginia students think about wind energy on our Clean Energy video playlist. Kids from middle and high schools around Virginia will be showing off their knowledge about designing and building wind turbines again this year during March events that make up the 2018 KidWind Challenges. You may be considering how to make sure you have backup power in the event of some extreme weather, like 60 mile-per-hour winds that knock out power lines, as happened recently in the Commonwealth. A colleague, Charlie Behrens, whom I met at the Champions of Change Symposium, shared how he utilized the “big battery” in his driveway, i.e. his Nissan Leaf. He used some do-it-yourself expertise to successfully provide emergency power for his Orlando home during recent hurricane-induced power outages. 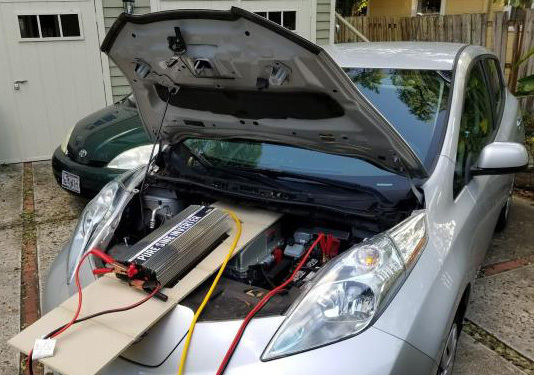 Key ingredients, besides the car, were a 3000W Pure Sine Wave Inverter by Power Tech-On, a circuit breaker to prevent damage to the car’s system, and power cables. March 19: City of Roanoke and the Envision Standard for Sustainable Infrastructure, 12:00 noon–1:00 pm, Cohosted with USGBC Virginia Community. Location: Co-Lab, 1327 Grandin Road SW, Roanoke, VA 24015. Register today for this special event here. April 3: Your Home: Cool, Dry and Green, 6:00–8:00 pm, cohosted with Science Museum of Virginia, 2500 West Broad Street, Richmond, VA 23220. This FREE workshop features Chris McCormick, Green Infrastructure Center; Jeremy Hoffman, SMV Climate Scientist; and Amy Hagerdon, Alliance for the Chesapeake Bay, with information on keeping your home cooler and dryer with green infrastructure. 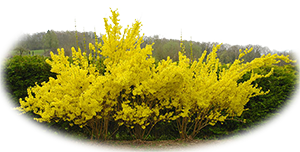 FREE to participants — you will take home a tree or shrub from TreeLab, a Richmond-based non-profit working to improve the urban environment. You must reserve your seat at this event here. April 14: Arlington Home Show and Garden Expo, 10:00 am–4:00 pm, co-hosted with Arlington County Housing Division. Held at Kenmore Middle School, 200 South Carlin Springs Road, Arlington, VA 22204. Featuring businesses and county programs with information on home energy efficiency and solar systems, remodeling to age in place, sustainable landscape designs, managing stormwater, financing renovations, and preparing your home and family for extreme storms. Look for more information coming soon on special resiliency workshops. Membership — Always in Season! #Giving Tuesday — Support a Resilient Future on Nov. 28! 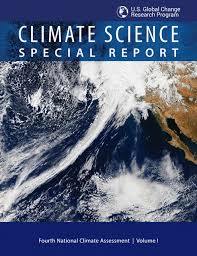 The 2017 National Climate Assessment (NCA) Climate Science Special Report (Volume 1) was released on November 3. 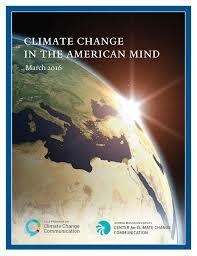 The National Climate Assessment summarizes the impacts of climate change on the United States, now and in the future. A team of more than 300 experts guided by a 60-member Federal Advisory Committee produced the report, which was extensively reviewed by the public and experts, including federal agencies and a panel of the National Academy of Sciences. Volume II, Climate Change Impacts, Risks, and Adaptation in the United States (NCA4 Vol. II), will be published in early 2018. Every four years a new report, developed through extensive input from the latest scientific research, is published and submitted to the President and Congress and to the public. This report assesses the effects of global climate change, both human-induced and natural, on the natural environment, agriculture, energy production and use, land and water resources, transportation, human health and welfare, human social systems, and biological diversity. The report confirms the well-established science behind climate change: it is real, it is human-caused, it is happening faster than predicted, and it poses a tremendous threat to America and the rest of the world. Based on extensive evidence, there is no convincing alternative explanation that anything other than human activity is the dominant cause of the observed warming since the mid-20th Century. 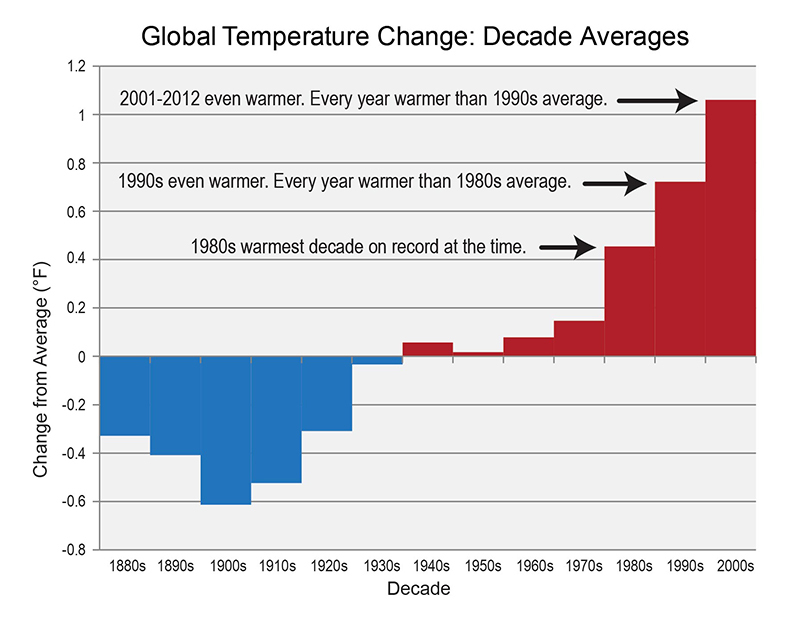 The global warming of the past 50 years is primarily due to human activities, predominantly the burning of fossil fuels. Global atmospheric carbon dioxide concentrations have now passed 400 parts per million (ppm), a level that last occurred about 3 million years ago, when both global average temperature and sea level were significantly higher than today. Continued growth in these emissions over this century and beyond would lead to an atmospheric concentration not experienced in tens to hundreds of millions of years. Human-caused climate change has made a substantial contribution to the observed 7–8 inches of global average sea level rise since 1900, the greatest rate of rise in at least 2,800 years. Global average sea level is expected to continue to rise by at least several inches in the next 15 years, and by 1–4 feet by 2100. A rise of as much as 8 feet by 2100 cannot be ruled out. The report also focuses on regions within the US and for the Southeast region, and details the following threats: 1) Sea level rise poses widespread and continuing threats to the region’s economy and environment. 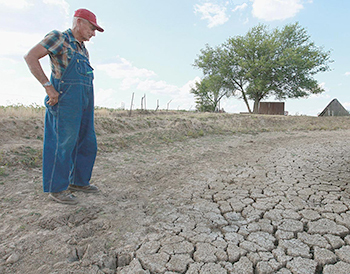 2) Extreme heat will affect health, energy, agriculture, and more. 3) Decreased water availability will have economic and environmental impact. 1. The 195 countries signing the Paris Agreement remain committed to a collective framework on international climate action. Nicaragua and Syria, the only two countries that had not signed the original Paris Agreement in 2015, indicated their support, while the U.S. government indicated it might consider re-commitment at a later date. 2. The international community has yet to send a strong signal that it is committed to transitioning away from fossil fuels. However, an alliance of 19 countries, headed by the United Kingdom (UK) and Canada, committed to phase-out coal production. In the UK, electricity produced by coal has fallen from 40 percent to 2 percent since 2012. 3. Little progress was made defining specific emissions-cutting guidelines. Activists call for a “robust set of rules,” but that rulebook remains woefully thin. A U.S. government presentation about the necessity of fossil fuels sparked one of the conference’s biggest protests. 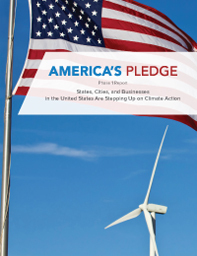 On November 11, 2017, the COP 23 Special Advisor for States and Regions California Governor Edmund G. Brown Jr. and Michael R. Bloomberg, the United Nations Secretary-General’s Special Envoy for Cities and Climate Change, released the America’s Pledge report at the U.S. Climate Action Pavilion, a purpose-built exhibition space sponsored by U.S. non-federal leaders at the COP23 meeting. The report is the first communication to the international community specifically addressing the scope and scale of non-federal climate action in the United States following the Trump administration’s decision to withdraw from the Paris Agreement. 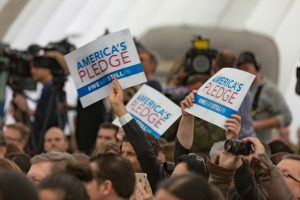 It captures and quantifies the outpouring of public support for the agreement since the withdrawal announcement, finding that cities, states, and businesses representing more than half the U.S. economy and population have declared their support for the Paris Agreement, including more than 2,300 signatories to the “We Are Still In” declaration. A total of 20 U.S. states, 110 U.S. cities, and over 1,400 businesses with U.S. operations representing USD $25 trillion in market capitalization and nearly 1.0 gigatons of GHG emissions per year have adopted quantified emissions reduction targets. And finally, the latest survey from George Mason University’s Center for Climate Communication reveals that the number of Americans “very worried” about global warming has reached a record high since first measured in 2008. A majority of Americans (63%) say they are “very” or “somewhat” worried about the issue. Likewise, Americans increasingly view global warming as a threat. Since Spring 2015, more Americans think it will harm them personally, their own family, people in the U.S., people in developing countries, and future generations. You can read the full survey report here. Note: Find out more about the NCA report and COP23 at the November 30 Webinar: The Fourth National Climate Assessment and Outcomes from the UN Climate Change Conference in Bonn — COP 23. 1:15–2:45 pm EST. Register at securityandsustainabilityforum.org. Resilient Virginia teamed with Leaders In Energy on October 19, 2017, to bring together an exceptional group of national and regional speakers on microgrids, with emphasis on this distributed energy technology as a means to significantly increase energy resiliency. This evening event, attended by over 100 people, featured speakers from the US Department of Energy, the military, Edison Electric Institute, USGBC’s PEER certification program, and regional microgrid projects. You can also read an in-depth review of the presentations provided by Leaders in Energy. Above:Janine Finnell, Executive Director of Leaders in Energy, opens an event on microgrids opens an event on microgrids in this video from October 19, 2017. Other presentations from this event are available here. Resilient Virginia is helping to promote a timely event — Leaders in Energy’s 4th Annual “Four Generations of Leaders in Clean Energy & Sustainable Solutions Awards and Holiday Event” on December 1, 2017, 6:00–9:00 pm. The event will recognize people across four generations who are raising awareness and developing clean energy and sustainable solutions, with a visible sense of urgency. On November 28 you can be part of a national movement to celebrate giving to worthwhile causes. Support our work to make your community more resilient! supporting cleaner energy sources for your home and car. Resilient Virginia supports community resiliency by giving you the resources to move ahead with being more prepared for the future. Support our organization on #Giving Tuesday and help us continue to Inform, Educate, and Activate! November 30: Webinar—The Fourth National Climate Assessment and Outcomes from the UN Climate Change Conference in Bonn – COP 23.1:15–2:45 pm. Register at securityandsustainabilityforum.org. December 1: 4th Annual Leaders in Energy Four Generations Awards and Holiday Event. Register at lercpa.org/4th-annual-4gen-awards/. December 6–7: Farm to Table Conference: Cultivating Resilient Food Systems and Communities for the Common Wealth and Common Good.To register: http://conference.virginiafarmtotable.org/register/. Resilient Virginia is partnering again this October with Leaders in Energy to bring together an exceptional group of national and regional speakers on microgrids and storage solutions as a means to significantly increase energy resiliency. Especially in the wake of this year’s severe hurricanes, the utilization of microgrids plus battery storage is seen increasingly by public and private organizations as the wave of the future to help ensure energy reliability. 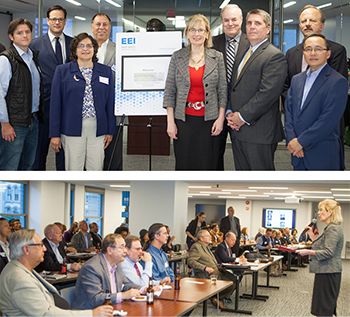 This event, which will take place at the Edison Electric Institute, will provide participants with the opportunity to meet leaders who are considering and implementing microgrid or battery storage in the Washington DC region. In addition, several speakers will provide a national perspective on the utility-microgrid interface and federal R&D programs. 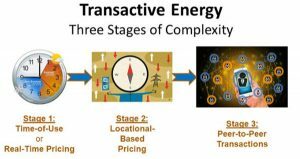 Dr. John Caldwell, Director of Economics, Edison Electric Institute, who heads its Microgrid Task Force, will discuss the utility/microgrid interface. The EEI Microgrid Task Force was formed to support the industry’s advocacy effort for policies that support utility involvement in the construction, owning, and operating of microgrids. Dan Ton, Program Manager, Smart Grid R&D, US Department of Energy, will present an overview of national research and development initiatives. The US DOE recently awarded $32 million in research funds for ”resilient distribution systems,” including $12 million for two microgrid projects. Brendan Owens, Chief of Engineering, US Green Building Council, will highlight the Performance Excellence in Electricity Renewal (PEER), the first certification system for sustainable power systems such as microgrids. PEER has been utilized locally to help assess feasibility of a microgrid expansion project at Gallaudet University. Michael Yambrach, Capital Projects Manager, Montgomery County, will provide a regional example of innovation in the use of microgrids to increase resiliency in critical facilities, and in the development of “Microgrids as a Service,” which has established a structure for costs, construction, and management of systems to be carried out by the private partners. 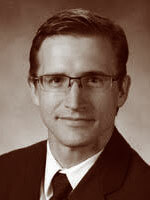 Bracken Hendricks, CEO and Founder, Urban Ingenuity, leads the implementation of the company’s vision: to finance and develop advanced energy infrastructure projects that speed the clean energy future. UI served as the lead energy development partner in the design of a state-of-the-art district energy system and advanced microgrid at the Walter Reed Army Medical Center. Join businesses, university and government representatives to learn more about the potential for microgrid utilization in the DMV region. Register at lercpa.org/microgrids by October 12 for the early registration rate. In the wake of just-announced steps by the federal government to repeal the Clean Power Plan, Virginia citizens have the opportunity to help ensure that the Virginia Clean Power Plan is successfully implemented. The Virginia League of Conservation Voters Education Fund and other environmental advocacy organizations are hosting a series of meeting during October that provide Virginia citizens the chance to learn more about this plan, how the new regulations will affect the state, and how citizens can help ensure that the program moves forward. Dates and locations — starting October 19 in Charlottesville are detailed in this flyer. In May 2017, Governor McAuliffe issued Executive Directive 11 — also known as the Clean Energy Virginia initiative — which directed the Virginia Department of Environmental Quality to draft proposed regulations to reduce carbon pollution from stationary sources. Governor McAuliffe’s goal is to work toward reducing carbon dioxide emissions from the Commonwealth’s power plants and to spur the development of new, clean energy jobs. By setting this limit, Governor McAuliffe made Virginia the first southern state to directly address climate change. Over the course of 2017, DEQ has been drafting the proposed regulations and will present them to the State Air Pollution Control Board for review and approval. This vote will happen in mid-November. Join other community members during October to hear more about the Clean Energy Virginia Initiative, how mitigation of carbon emissions will assist in reducing the impacts from climate change, and how Virginians can continue to move forward in creating clean energy jobs. Resilient Virginia is a partner this year with USGBC’s Communities & Affordable Homes Summit at Greenbuild 2017 on Tuesday, November 7 from 9:00 am–5:30 pm in Boston. This year, the Summit will be a call to action — and the participants will be part of creating that action plan for USGBC and its partners to advance equity in green building over the coming year. Two separate tracks will feature some of the leaders at the forefront of community development, environmental justice, and sustainability. The first track highlights successful case studies, discusses practical tools, and provides application techniques for success. The second track brings people and partners together to co-create an action plan to advance equity and sustainability in our buildings and communities. Multi-disciplinary leaders will facilitate small group dialogue, knowledge-sharing, and problem-solving with the singular goal of expediting the economic, social, and ecological health of underserved communities locally, regionally, and globally. Now is the time for concerted, meaningful, and immediate action to advance a green social justice agenda. Join the dialogue and register today! Resilient Virginia is pleased to report very positive feedback from our post-conference survey, with close to 90% of the respondents giving the 2017 Resilient Virginia Conference positive reviews. Conference attendees provided ideas for making this type of event even more worthwhile, which included more information on planning for resilience, technical solutions, and financing, and more time with exhibitors and for networking. For the next conference, a wide range of suggestions were provided, including: 1) hearing from the new governor on his resiliency and sustainability programs, 2) offering regional roundtables to spur state-wide resiliency initiatives, and 3) presentations on what role resiliency will have in recovery efforts from the severe hurricanes of 2017. Resilient Virginia would like to again thank Brian Moran, Secretary of Public Safety and Homeland Security; Virginia Department of Emergency Management; Dominion Energy; and all our additional sponsors who made the conference possible, as well as the Conference Planning Committee for their efforts in assembling world-class sessions and speakers. Thank you to our recent new and renewing members! Celebrate preparedness during the 2017 PrepareAthon, a free festival at the Science Museum of Virginia in Richmond, that teaches the community how to be more resilient when disaster strikes! Uncover life-saving information to protect your family during an emergency and learn more about resiliency. Discover the impacts of climate change on human health, the environment, and the Chesapeake Bay. Resilient Virginia will participate with this program again this year, as well as other organizations working in resiliency and public safety areas. There will also be resiliency-themed climate change activities in the Museum, including NOAA Science on a Sphere® demonstrations and hands-on experiments in the Eco Lab. Disaster Preparedness Workshops will take place several times during the day, and participants will take home a free Preparedness Kit, valued at $45. The event also features a Rain Barrel Workshop where families can learn about water conservation and how stormwater impacts our waterways. Register for the workshops here. You can also hear introductory remarks by Congressman A. Donald McEachin, VA-04, and Alicia Zatcoff, City of Richmond Sustainability Director; and presentations on “Human Health Impacts of Climate Change,” by Matthew Burke, M.D., Director of State Programs, Medical Society Consortium on Climate Change and Health, and “Summer in the City—Richmond’s Urban Heat Islands,” by Jeremy Hoffman, Ph.D., Climate and Earth Science Specialist, Science Museum of Virginia. For the full program, visit the Science Museum of Virginia website. The 2017 PrepareAthon is hosted by Science Museum of Virginia under award #NA15SEC0080009 from the Environmental Literacy Grant (ELG) program of the National Oceanic and Atmospheric Administration (NOAA), U.S. Department of Commerce. Statements, findings, conclusions, and recommendations are those of the Museum and do not necessarily reflect views of NOAA or U.S. Department of Commerce. We are pleased that Governor Terry McAuliffe provided introductory remarks at the August 1–2 Resilient Virginia Conference this year. You can view his videotaped statement here. Led by Secretary of Public Safety and Homeland Security Brian Moran, our Day One Plenary Session speakers addressed resiliency perspectives from the national level as well as sharing lessons learned from Louisiana and Colorado, and the City of Richmond. The Lunch Plenary Panel provided insights into the economic value to both governments and corporations of adopting resiliency in policies and operations. Day Two Plenary Session speakers provided highlights of the 100 Resilient Cities Planning Process and the NIST Community Resilience Planning Guide, and the final Lunchtime Plenary Panel included state elected officials who shared their thoughts on moving Virginia forward toward a comprehensive resiliency plan. We will be sharing these thoughtful presentations, as well as Breakout Session content, with you on our website by early September. We thank Secretary Brian Moran, the Virginia Department of Emergency Management, Dominion Energy, and all our Sponsors, Exhibitors, Partners, and Planning Committee Members for working to make the 2017 Resilient Virginia Conference a memorable event. Membership Brings Extra Benefits This Summer! 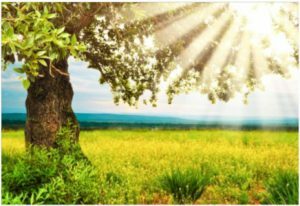 Resilient Virginia will help you deal with the summer heat by sharing a gift certificate from this Virginia business when you become a member through September 2017. Registration is open for the 2017 Resilient Virginia Conference, taking place August 1–2 at the Richmond Convention Center. This year, Resilient Virginia is pleased that the Virginia Secretary of Public Safety and Homeland Security and Chief Resiliency Officer and the Virginia Department of Emergency Management (VDEM), is taking a leading role in supporting the conference. 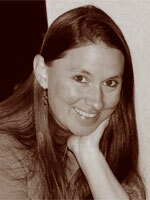 Maureen Roskoski, LEED AP O+M, SFP, Corporate Sustainability Officer, Facility Engineering Associates, P.C. Visit the conference website for updates on the agenda topics and speakers. Plan to participate by attending, sponsoring, or exhibiting at the conference. Join your colleagues in working toward a resilient future! Register today at our conference website. Thanks to Our 2017 Resilient Virginia Conference Sponsors! For information on sponsorship opportunities for the 2017 Resilient Virginia Conference, contact Annette Osso, Managing Director, Resilient Virginia(osso@resilientvirginia.org). Highlights for May 2017 and Beyond!! Since Summer is almost here, Resilient Virginia will send you a gift certificate from this Virginia business when you become a member.